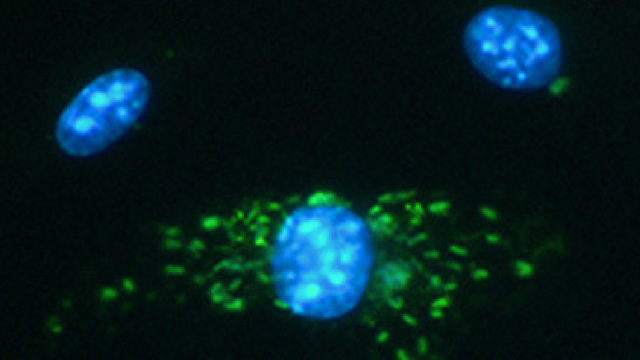 Mouse macrophages (blue) and Legionella pneumophila serogroup 6 (green). Twenty hours after 1-2 bacteria were introduced, the bottom macrophage became infected with replicating bacteria. During Flint’s contaminated water crisis in recent years, caused by a switch in water supply that triggered a swell of lead poisonings, the city simultaneously experienced outbreaks of Legionnaires’ disease that, according to the Detroit Free Press, killed 12 people and made 91 others sick. At the annual American Society for Microbiology (ASM) meeting in New Orleans this week (June 1-5), scientists report evidence that the pathogenic bacteria responsible for the disease are present in residents’ water, although they cannot confirm from the data yet if people’s taps are to blame for the infections. Approximately 88 percent of the bacterial strains detected are difficult to diagnose in people due to a lack of diagnostic tests. Legionnaires’ disease is known as an atypical pneumonia that infects the lungs after inhaling contaminated water droplets, according to Michele Swanson, a microbiologist at the University of Michigan Medical School who is ASM’s incoming president-elect. As an opportunistic pathogen, it targets immunocompromised people and the elderly. 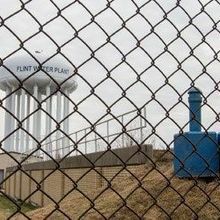 Experts suspect that Flint’s corrosive water supply pipes were behind the Legionnaires’ spikes; the faulty pipes allowed iron to percolate into the water. 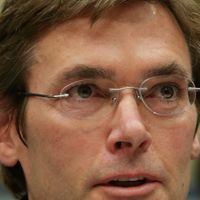 “[Iron] was the nutrient that helped the Legionella grow,” Marc Edwards, Virginia Tech professor of civil and environmental engineering, told CNN in March. Last year, Edwards and colleagues found evidence of Legionella pneumophila—the bacterial culprit behind the disease—in hospital tap water. According to the CNN report, Flint’s outbreak was one of the largest in US history. However, whether the rampant pipe corrosion in Flint’s water supply caused the Legionnaires’ outbreak remains unproven. To get some answers about the potential source of the Legionnaires’ cases, the state of Michigan funded Swanson and colleagues to study L. pneumophila collected from Flint and Detroit residents’ kitchen sinks, showers, and water heaters last fall. They analyzed 53 L. pneumophila strains in total; 20 from residential samples and 33 strains obtained from hospitals in three Michigan counties that had submitted samples to the state’s Bureau of Labs between 2013 and 2016. According to a May news release by Wayne State University, a collaborating institution, the researchers detected Legionella in 12 percent of the 188 homes surveyed. Once Legionella samples were cultured, Swanson determined the strains’ sequence type, which identifies the strain through sequencing multiple loci, and serotype, another characterization based on the molecular patterns present on the microorganism’s surface. Her goal was to assess overlap between the strains isolated from hospitals and the ones from the residences. Swanson did not find much overlap; serotype 1 was found in four of the clinical strains and one of the residential strains. 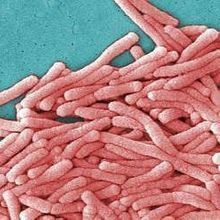 However, they found serotype 6 in 16 out of the 18 residential strains (two strains were a different Legionella species), which, according to the conference abstract, is “the second leading cause of Legionnaires’ disease in the USA,” and has the highest mortality rate of all other serotypes. While a urinary antigen test exists for serotype 1, a similar diagnostic tool is lacking for serotype 6. 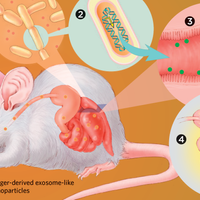 Thus, one reason why Swanson couldn’t detect serotype 6 in both clinical and residential strains is that patients infected with this serotype may be going undiagnosed. “There’s definitely a need for [new diagnostics],” says Swanson. Swanson also found that the environmental and clinical strains of both serotypes are similarly virulent. She measured virulence in vitro by how well Legionella replicated in mouse macrophages, given that “Legionella causes disease by growing in the white blood cells, or macrophages in our lungs,” says Swanson. This summer, during Legionnaires’ season, Swanson and her team will also collect additional samples from the same homes as well as from new ones, and obtain more samples outside of Flint to increase their controls. Correction (June 12): We reported that Michele Swanson is ASM’s president-elect. Swanson will succeed Peggy Cotter, the current president-elect, this July when Cotter becomes president. The Scientist regrets the error.